When a Pacific war became likely in the late 1930s, New Zealand was given responsibility for air reconnaissance centred around Fiji. As a result, airfields were built at Nadi and Nausori, while a flying-boat station was developed at Laucala Bay, near Suva. 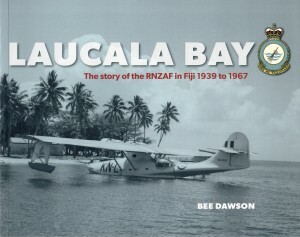 This book tells of the RNZAF’s operations in Fiji during the war and the subsequent two decades until the station finally closed in 1967. In war and peace, the drama caused by tragedies and extreme weather events was tempered by the charm of Laucala Bay life: picnics on Nukulau Island, sailing competitions, parties, rugby and romance. Small wonder that this was one of the most popular postings the RNZAF ever offered.